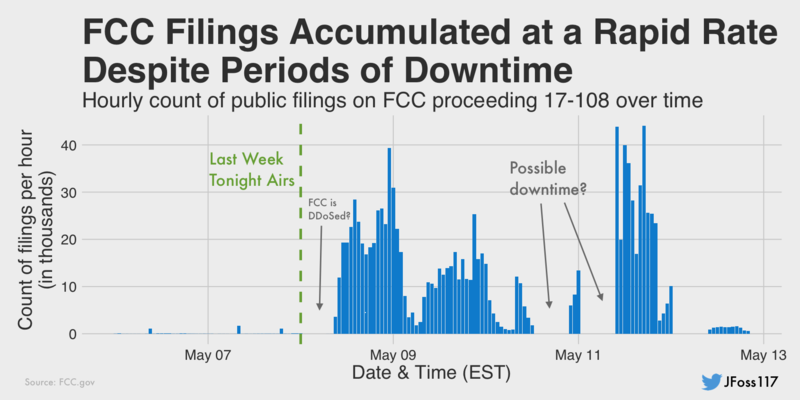 For the last couple of years, we can see the fight which is happening between governments, companies and average internet users regarding the net neutrality. What honestly pisses me off, is that this topic after being discussed for many years did not reach a consensus… In 2017 the FCC (Federal Communications Commission in the United States) is trying to once again attempt to abolish net neutrality. They are coming up with the most ridiculous and dishonest arguments, one of the most unbelievable lies is the “Internet Freedom Act”. You probably already realized that this act does the exact opposite of what it claims it does. Hereby I will try to briefly explain what is net neutrality to those who were living under the rock for the last 5 years and have no clue that this is a very critical issue for all the internet users! You might say I do not live in the USA, but bear with me, they in many cases are the trendsetter which means other greedy politicians and companies will see this as a green light if the bill passes. Net Neutrality means that all the traffic on the internet should be treated equally #FeminizmAlert. At this moment, the concept of net neutrality is protected by a “law of utility” (sort to say) which also protects water and electricity providing companies. This law states that people can be changed only for the resource use itself. No extra premium high-quality water for special snowflakes out there is available. Same price for everyone. The opposite of web neutrality means that you would be charged extra for every time you use water for something rather than drinking or taking a shower. How would you feel if your water company would charge you extra is you use your water for watering your plants? Ridiculous, isn’t it? Therefore, if you don’t want to pay extra to your internet provider to watch cat videos on YouTube, you better start thinking and acting. Who will profit from it? First, it would be video streaming companies which would attack companies like Netflix (oh no..) and Hulu. If net neutrality would be abolished, the streaming companies would be able to slow down the streaming speed to a point which would make it impossible to watch anything without purchasing some sort of extra package to bring the streaming speed up. This is evil if you ask me because these corporations can monopolize the internet and cash out big money. This is against the free market, against any sort of competition law and I personally do not see any upside to it whatsoever. Imagine if the websites you go the most will be slowed down. 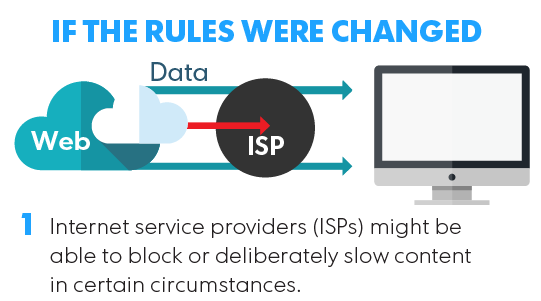 Internet service providers will be able to slow down websites like Facebook, YouTube, Reddit, 4chan etc. and add an extra price tag if you want to browse them without waiting 5 minutes for the page to load, or an hour for a video to load. If this is not enough of a reason for you to support net neutrality, think about some larger implications which it can influence. Companies will be able to suppress freedom of speech by slowing down internet speed by region if they want to. Imagine that a protest in one region will never reach another one because the internet will be limited thanks to the control of these corporations. They will be able to disconnect the internet and blame you for not buying an extra service from them. It can be used as a tool over and over again to undermine many political issues. I believe that it does not matter if you are right or wrong, left or right, black or white, female, male or an Apache helicopter… It will influence you and everyone around you. It will have a negative outcome on every consumer (read my previous post on consumerism), except the internet providing companies who will make a LOT of money. Large corporations which are opposing net neutrality have been ramping up the propaganda and astroturfing. Internet service providers back in 2014 were flooding their websites with identical comments from bots they bought on fiverr. There were 128 000 comments from fake accounts posting anti-net neutrality information. Some SMART PEOPLE were misled into believing that restoring Internet Freedom Act will do the thing those comments were describing. This was misinforming the public into believing about something which is completely opposite. The corporations are actively fighting to take away your rights and freedom to make an extra buck. What a lovely, honest and NOT GREEDY world we live in. Well, folks, this is a battle for the future of internet! I personally started saving everything I have on my hard drive, all the previously watched movies, favourite music, software, e-books, memes…. Because I am scared that one day I will not be able to access my information as easily as I can do it now….This is something we take for granted, but it might change tomorrow and it will change our lives. Does not matter where you are from, this is an issue which requires attention. Do not let these greedy companies take one love some people have in this world, the ability to surf the net 40 hours a week without any restrictions. The important part here is to be critical, check the facts and don’t be gullible. I recommend reading more materials on net neutrality if I was not able to convince you. Share this with a friend, let him know you are smarter than him. Previous articleWho is the winner of the Nobel Peace Prize 2017? Next articleGoogle Pixel 2 vs Pixel 2 XL, Yay or Nay?